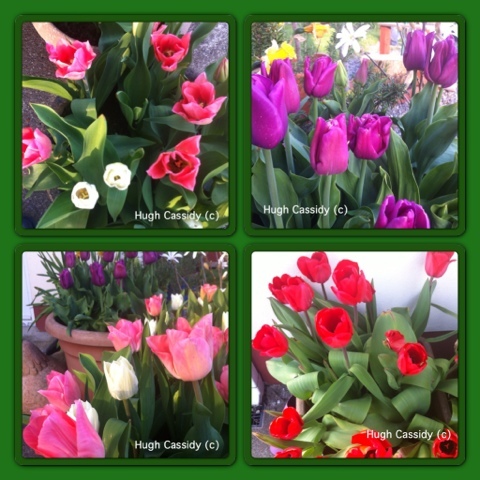 So what do we do now our Tulips are coming to an end (mostly) of their flowering time? Well, traditionally gardeners used to lift them from their bedding beds to make way for Summer bedding. The lifted Tulips were then left in a shed to die back and once this happens the old foliage is removed and the bulbs stored for planting the following September. Of course the object at this point is to ensure the foliage dies back into the bulbs, resulting in a nice large bulb for next Autumn planting, so while you could lift them and pop them into a shed, I prefer to do something different. 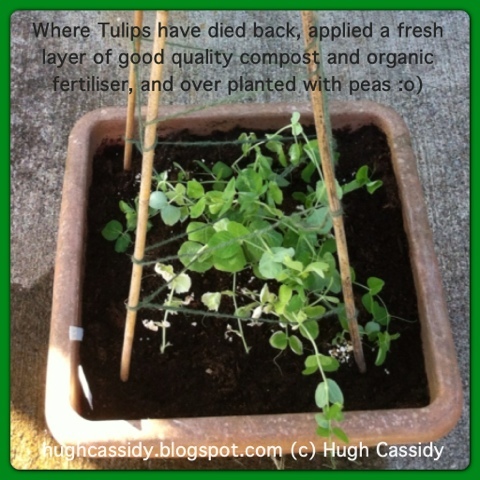 You see I tend to keep my Tulips in pots/ containers. 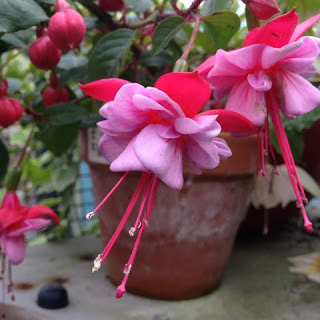 This allows for a great degree of flexibility in placing the pots close to the doors when they are in full flower and around to the side when they pass their best. So, for me, I have moved some of the pots that have finished flowering around the side of the house (in a nice sunny spot), dead-headed them (this is the removal of the seed-head - see picture) and will now liquid feed them over the next month or so, once a week, as they die back. In fact I have already given them one or two liquid feeds as the were coming into flower. 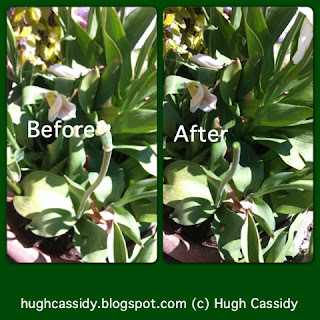 The point of feeding them is that the healthier the foliage is after flower, the more greenness (and goodness) there is to die back into the bulb, therefore making a bigger bulb (and hopefully more flowers) for next year. By mid-June (mostly) the foliage will be gone and the bulbs can be lifted at this point and stored in paper bags (with name of variety written on it). I know this sounds like a little extra work, but well worth it to get the bulbs to a nice size for next year. (Updated June '13) I also leave some bulbs in their containers, remove the foliage that has died back, and simply over plant with some Summer bedding, ensuring I put a nice fresh layer of compost (with some nice organic food added) on top. In fact, for some of my pots, I deliberately leave a bit of space (3-4 inches) between the top of the soil and the rim of the pot when Autumn planting bulbs, to leave space for this time of year to over plant with bedding (or similar). This was very informative and useful to know. I also liked your straightforward and clear writing style. Thank you. 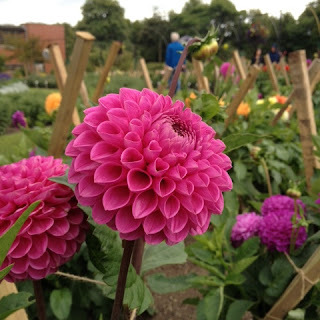 It was with great pleasure that I visited the Botanic Gardens recently, ensuring I dropped by the Dahlia area, where they had a fine selection of plants available for viewing. I did this last year too, a number of times, and this year, I have to say, I was surprised at how small the plants were this year, compared to mine at home, although I know these will continue growing. This didn't mean there wasn't a fine selection of flowers to see though - there was colours covering almost the full spectrum of the rainbow, and many different forms and types too. I used my pocket knife in each of the pictures in order for readers to be able to have some idea of the size of the flowers, and boy, were they big and colourful !